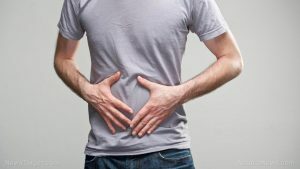 Autoimmune Pancreatitis, also known as AIP, is a chronic inflammation that is believed to be caused by the immune system attacking the pancreas. The cause of this disease remains unknown. There are two subtypes of AIP – type-1 and type-2. Type-1 AIP, also called IgG4-related pancreatitis, is a part of a disease called IgG4-related disease (IgG4-RD) that affects multiple organs, such as the pancreas, bile ducts in the liver, salivary glands, kidneys, and lymph nodes. On the other hand, type-2 AIP appears to only affect the pancreas. This disease is rare and was just recently recognized. Moreover, it can be mistaken as pancreatic cancer because they both have the same signs and symptoms. The symptoms of autoimmune pancreatitis include jaundice or yellow skin and eyes, loss of weight, new onset of diabetes, inflammatory bowel disease, pulmonary involvement, renal involvement, biliary tree, salivary glands, and elevated igG and antinuclear antibody levels. The body systems mainly harmed by autoimmune pancreatitis include the digestive and endocrine systems. Autoimmune pancreatitis can be treated in several ways. One of these is through biliary stenting, in which a tube to drain the biliary ducts is inserted in people with symptoms of obstructive jaundice. Other treatment options for the disease is the use of steroids, immunosuppressants, and immunomodulators. Is It Your Stomach or Is It Your Pancreas That’s Causing Pain? Autoimmune pancreatitis is a chronic inflammation in which the immune system targets the pancreas. Some of the side effects associated with autoimmune pancreatitis include jaundice, weight loss, diabetes, and inflammatory bowel disease. Autoimmune pancreatitis harms the digestive and endocrine systems.